This week on WELSTech Martin and Sallie soar into the cloud of web-based computing applications and discuss the exciting, affordable possibilities for church office needs. Church Office Computing in the Cloud – Martin recently attended the Office 2.0 Conference, and he shares with us his vision of “cloud” or web-based applications for the church office. You may follow along via Martin’s online “Church Office 2.0” SlideRocket presentation as you listen to the podcast discussion. Jason Winget’s congregation uses QuickBooks software for financial management, and he is looking for procedures for conducting a church accounting system audit. Check out his WELSTech listserve post. This week on WELSTech Martin and Sallie take a closer look at the tools used to create and share church media and invite WELSTech listeners to share their experience in this area. Martin interviews Paul Jackson, one of the founders of MediaShout, a congregational display system software. 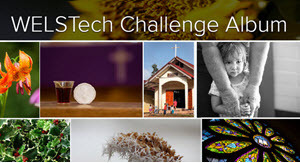 Let’s collaborate on church media – Church media includes all things related to audio and video recording and production, including hardware components, software and even training. Using a wiki site, Martin and Sallie added initial information on various church media resources. WELSTech listeners are encouraged to share their experience, how-to’s, things to avoid and any other useful ideas in the wiki. MediaShout (18:20) – Martin had the opportunity to talk with Paul Jackson of MediaShout about their congregational display system software. Learn about the software capabilities and pricing as well as the features that makes MediaShout different from other church media software.